When our friend Katherine launched her Kate McDonald Bridal collection, her hand-painted McLeod gown made major waves–we even used it as a getaway dress in our V8 Fore the Love editorial! While this gown is absolute styled shoot magic, it would take a daring (and fabulous!) bride to choose it for her wedding day. My favorite thing about the Charleston wedding inspiration we’re sharing today is that along with the gown, it includes so many beautiful, hand-painted details that complement it perfectly. If you love the look of this show-stopping dress as much as we do, but had something a little more traditional in mind for your wedding day, take a scroll through these lovely photos by our Blue Ribbon Vendor Sweet Tea Photography–I’m sure you’ll be inspired to find another way to bring the look and feel of the dress into your celebration! P.S. Love the Charleston welcome bag in this shoot? Visit Kelley and Lisa Marie’s Instagrams here and here for a chance to take it home! Sweet Tea Photography and Kate McDonald Bridal are delightful members of our Blue Ribbon Vendor Directory! talk about a perfect day! thank you for featuring this day and our flowers, of course!! xo! 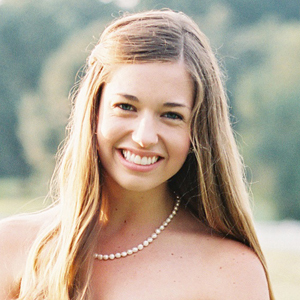 Thank you so much for the feature Southern Weddings! We truly had a ball putting this shoot together with such an amazing team of creatives! This is really stunning! Love the picture of the flower girl and her petals with the bride looking out the car in the background! Also, made a note about the glasses/name cards! Great idea! The bride is just stunning in her beautiful wedding dress.